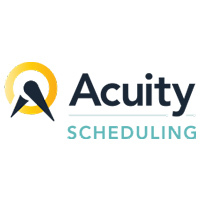 Full Slate is an appointment scheduling software that enables users to access an integrated online scheduler system. 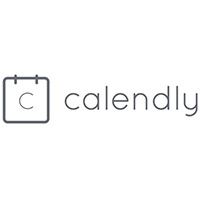 It enables users to manage bookings, automate reminders, collect online payments, sync calendars, and keep track of client records. We compiled Full Slate user reviews from around the web and determined that it generally has positive ratings. We also shared its available pricing options. Users who recommended Full Slate said that the software is easy to use and is very functional. They like how it manages their business appointments seamlessly. Great customer service was also cited. 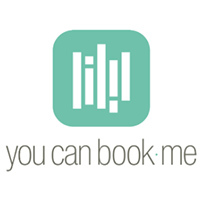 Users who gave Full Slate negative reviews said that the system occasionally goes down preventing clients to book appointments. Some users experienced getting double bookings from the app. They also found some errors in the reports downloaded from the site. A user who left a positive review on GetApp said that Full Slate is a good tool to organize schedules and manage appointments. He also likes how the software has a built-in email marketing system to help them easily send email blasts to their customer database. A user who left a negative review of Full Slate on GetApp said that they experienced occasional glitches with the software that enabled clients to double-book appointments. He also said that he sometimes encounter difficulties when editing booking details. Full Slate has three subscription plans: Just You ($29.95/month), Up to 5 Staff ($49.95/month), and Up to 10 Staff ($79.95/month). The only difference between the plans is the number of users allowed. *Annual subscription plans are charged on lump sum, and users are only billed once a year. Users who prepay for a year get an additional month free of charge. Check out the list below of some of Full Slate’s features. Email Marketing Best Practices – 31 Tips From the Pros – Email is an incredibly efficient way to market to your audience. Here are some email marketing best practices from small business owners and marketing professionals. Yes. Interested users may avail of a free trial here. How does Full Slate reduce no-shows? Full Slate makes sure clients show up for scheduled appointments by automatically sending email reminders and text reminders. Users also have the option to require clients to input a credit card, make a deposit, or pay in full during online scheduling. How do Full Slate implement email marketing campaigns? Full Slate can automatically send personalized emails that drive repeat business, reviews, and referrals. Users can also send a personalized message after each appointment, reach out on special occasions, prompt clients who are due for a visit, or set up other automated messages. This video provides an in-depth demo on how to create a Full Slate account and navigate through its dashboard. Not sure if Full Slate is the right fit for you? Read our reviews of all top appointment scheduling software or check out one of these three Full Slate alternatives.